For some activites you need to register! A time machine will send Esslingen back into the exciting times of the Middle Ages. The medieval market will take place on the Town Hall Square, which provides a contemporary atmosphere. At this unique Medieval Christmas Market during wintertime in Southern Germany you will experience many fascinating attractions: Music, magic, sorcery, fire-eater and a lot more. A wide range of cultural events will be presented on two stages, including music from long-forgotten times played on historical instruments and various other activities! The medieval stands of the traditionally dressed craftsmen present calligraphy, leathery, silver jewellery, dyer’s trade and a lot more. The Christmas Market will be held concurrently with the medieval market on the Market Place. You will find the ‘living’ crib on the Christmas Island on the Post-michel Square. Lively traders and around 180 beautifully decorated stands offer a really outstanding atmosphere. Fridays 21.11., 28.11 between 12 a.m. and 2 p.m. Please make sure, that either you or one of your friends shows up at on of these dates to pay for the activity or send us an email if you can\'t make any of these dates. If you don`t show up and we don`t get a message till 28.11. we will give your place to the next person on the waiting list. ATTENTION: If you already paid the fee and you decline your registration after 28.11., we can NOT give you your money back !!! At our tour of the brewery "Schimpf" we will be guided by a well experienced master brewer trough the areas and cellars of the brewery and feel the atmosphere of a traditional brewery. The guided tour will take 2 hours. After it, as cozy completion, you may join us in the nearby Brewery-Tavern. Here we will have an "Open-End" around 13.00 a.m.: You may have another beer with us in the tavern or, if you already like to, head back to Tübingen. Meetingpoint for departure is 10.15 a.m. at mainstation in Tübingenon 29th of November. Please do not forget your student ID and the naldo ticket so that you can take the train for free in the whole naldo area. 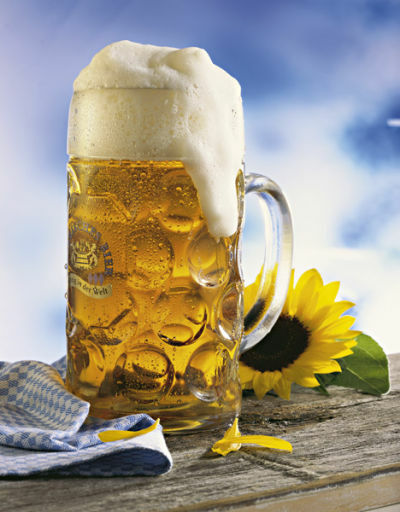 in addition to the guided tour this also covers a Zwickelbeer-tasting and one free drink !! End of guided tour: ca. 13.00 a.m.
between 12 a.m. and 2 p.m. at our office-hour, Wilhelmstraße 9, room 116. Please make sure, that either you or one of your friends shows up at on of these dates to pay for the activity or send us an email if you can\'t make any of these dates. If you don`t show up and we don`t get a message till 21.11.2014 we will give your place to the next person on the waiting list. ATTENTION: If you already paid the fee and you decline your registration after 21.11.2014, we can NOT give you your money back !!! Winter and Christmas are coming soon! To get in the mood, we want to go ice skating with you in Reutlingen. It doesn´t matter if you are professional at skating our a bloody beginner. There will be dico atmosphere and good music, so we will have fun anyway! After being really active we want to round off the day at the Christmasmarket in Reutlingen, where you can help yourself with a glass of hot wine and other specialities. Entrance and lending fees will be 7 € p.P. Important: Please tell us your shoe size when registering and paying for the trip. We will meet Friday, 28. November at 4.20 Uhr in the entrance hall of the train station, Tuebingen. After approximately 2 hours of skating we will head on to the market which will close at 8.30. You can either stay in Reutlingen then or go home to Tuebingen with us. Please register online for this awesome trip and come see us this Friday to pay for it! Have you ever wondered how Swabians make their famous Brezeln? We are going to have a look behind the scenes! Come with us to the Swabian bakery Gehr and learn how to make real Swabian Brezeln. This excursion is for free, the master backer Mr. Gehr (the owner of the bakery) would be happy about a small donation to "Brot für die Welt". We are going to meet at the Haagtorplatz in front of the cinema Atelier on the 17/11 at 1.30 p.m.
We are going to walk to the bakery from there. In the bakery Mr. Gehr will show us the art of brezel-making. In the end we can eat our results. Plus you have to step by at our office hour on friday (12 to 2 p.m.) to confirm your registration!